That’s a wrap on Carnegie Mellon University’s Commencement Weekend. 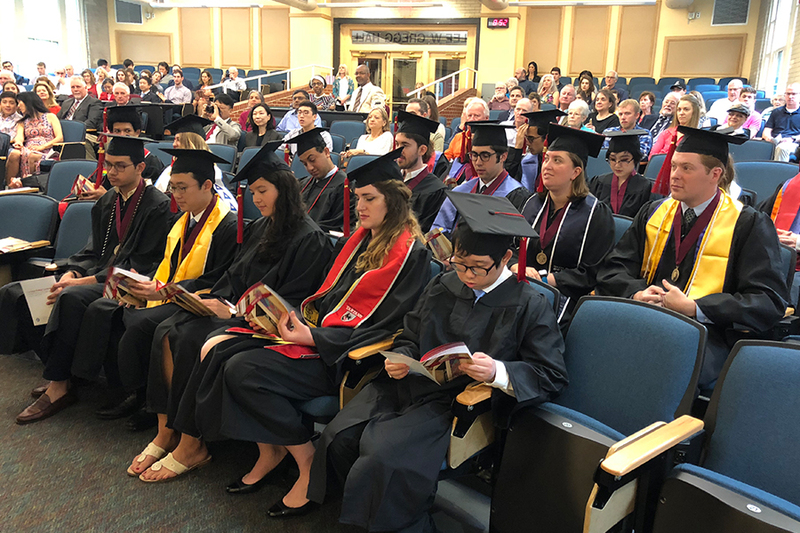 Relive the play-by-play below, and stay tuned for complete coverage, including photos from all of the Dietrich College of Humanities and Social Sciences diploma ceremonies and what the most recent graduates are up to next. 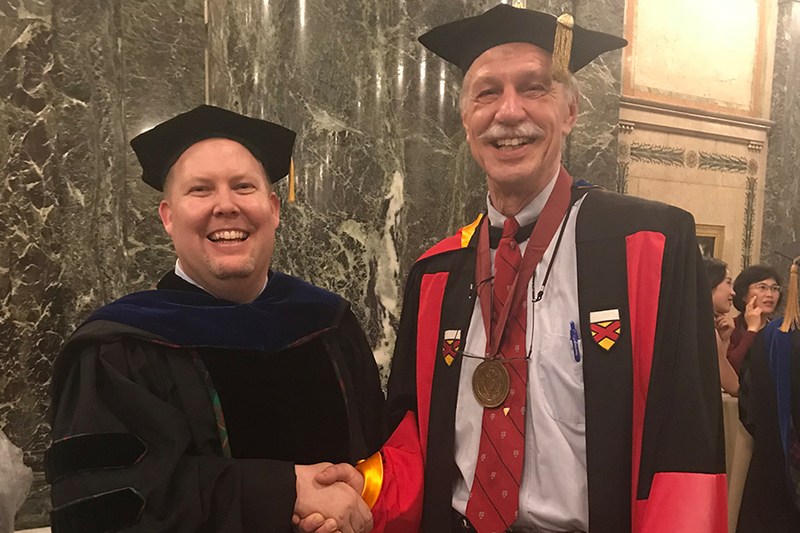 May 20, 2018 at 3:20 p.m.
Klahr said that he has always encouraged students to come to the ceremony and has been to most over the past nearly 50 years of his CMU. Michael J. Tarr, head of the Psychology Department and the Kavčić-Moura Professor of Cognitive and Brain Science, said that Klahr is largely responsible for shaping the modern psychology program at CMU. He also shared some of what he sees to be the department’s strengths, including that it’s one of the oldest academic units on campus, one of the only psychology programs with a Nobel Prize winner on its faculty (the late Herbert A. Simon) and home to the Center for the Neural Basis of Cognition, one of the best computational neuroscience programs in the world. Fifth-year senior Kanisha Vaughn received a standing ovation for her remarks about how each student has had different versions of themselves help shape who they have become, leading them to graduating. “I once thought I wasn’t good enough to be here,” Vaughn said. “This moment is one of the most important of your lives. This moment is certain and can never be taken away from you. Our paths may vary, but take this moment, claim it and remember it." May 20, 2018 at 1:40 p.m.
By the time they reach their senior year, students in the Humanities Scholars Program (HSP) have been through a lot together. 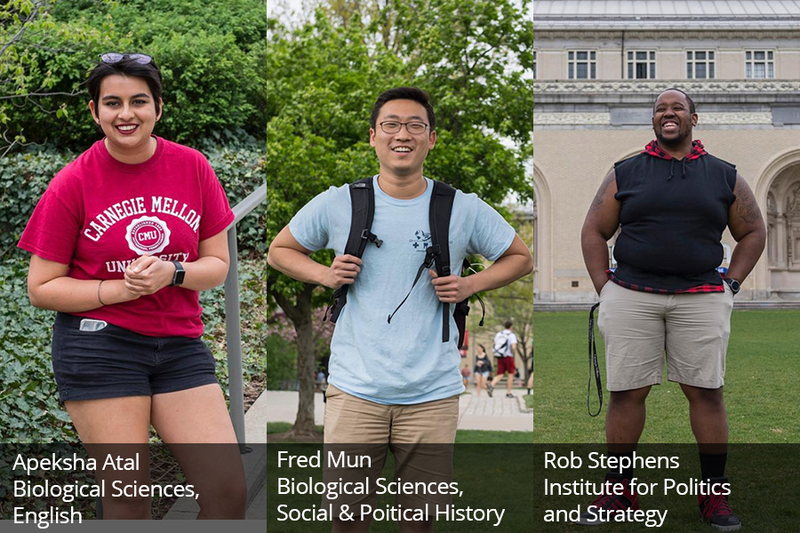 HSP builds a tight learning community for students throughout their undergraduate careers. They live together during their freshman year, take a seminar class together each semester for their first two years and participate in a research seminar during their final semester. Additionally, the program promotes and sponsors events and outings to expand opportunities for scholars to learn outside of the classroom. 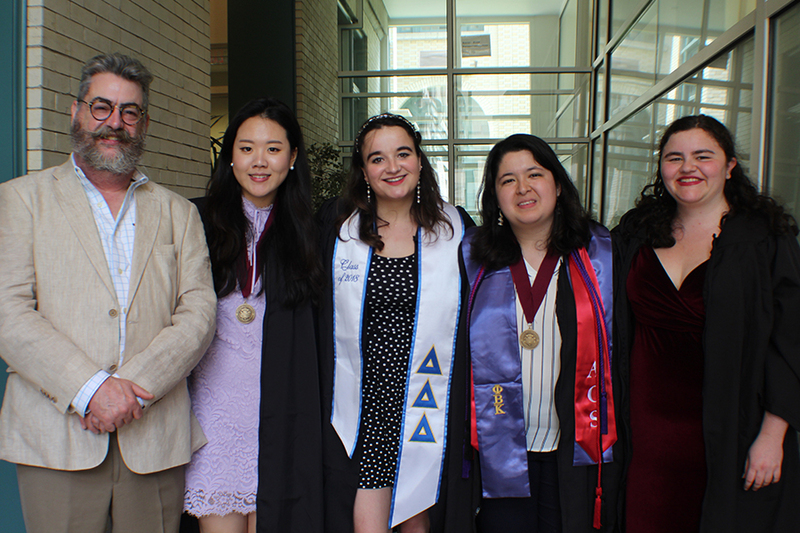 Today, current HSP graduates got together for a brunch commemorating the past four years. Pictured: Tim Haggerty, director of HSP with graduating seniors in HSP. May 20, 2018 at 12:50 p.m.
Get a behind-the-scenes look of Dietrich College graduates making their way to Gesling Stadium for University Commencement. 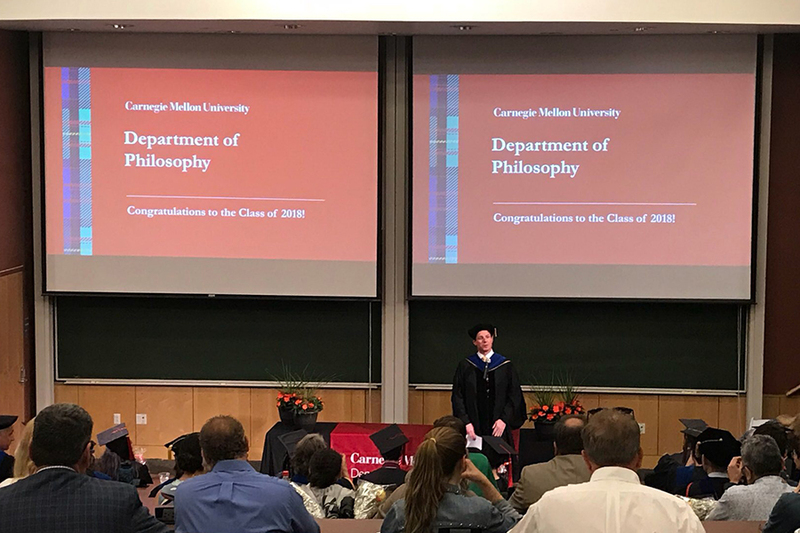 May 20, 2018 at 10:30 a.m.
Forty-four seniors with majors, additional majors and minors in the Department of Philosophy have been awarded their degrees from the department’s four programs: philosophy, logic & computation, linguistics and ethics, history & public policy. Thirteen students took home graduate degrees: Five were awarded a Master of Science in Logic, Computation and Methodology; five received a Ph.D. in Logic, Computation and Methodology; three were awarded a Ph.D. in Pure and Applied Logic. That is the question Philsophy Department Head David Danks says graduates will be equipped to answer whenever confronted with it. Associate Professor and Director of Graduate Studies, Kevin Zollman gave an overview of the reach of a degree from the Philosophy Department. Zollman said students gain “skills that will enable them to work in any field they choose,” and explained graduates from the department get jobs in fields ranging from software development to the clergy. May 20, 2018 at 9:50 a.m.
A unique program at CMU, the Quantitative Social Science Scholars Program (QSSS) is designed to help undergraduates acquire advanced quantitative technical skills they can use to impact society as entrepreneurs, policymakers, or social scientists. Seniors in QSSS gathered for a breakfast where they reflected on the past four years and looked forward to what’s coming next. Pictured above (left to right): Josh Ragen, Serene Gao, Mark Patterson and Joseph Gibli. May 20, 2018 at 9:30 a.m. According to History Department Head Donna Harsch, there are few occasions happier than graduation. 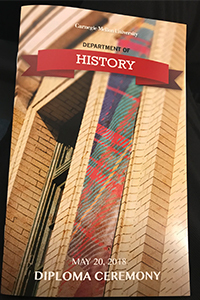 That rang true for more than 21 students receiving undergraduate degrees in one of the Department of History’s majors as well as the six graduate students who earned Ph.D. or masters degrees. Associate Professor of History Lisa Tetrault, the winner of the Dietrich College’s top teaching award, gave the keynote speech. She remarked about how graduation is bittersweet for the students and faculty. “Students don’t realize how joyous it is for us to spend time with you,” Tetrault said. She also stressed how the study if history is critical to who we are as a people. Tetrault, who also spoke at yesterday’s college Honors Ceremony, told the new graduates that they have been prepared well. “Trust one thing—this legacy and past [your college graduation] are here to serve you in your future endeavors,” she said. “It will be a dynamic resource for you." May 20, 2018 at 8:25 a.m.
A recent survey showed that only 7.5 percent of college students in the U.S. were enrolled in a foreign language class. At Carnegie Mellon University, 48 percent of students in the Class of 2017 took at least one foreign language or culture class during their undergraduate careers, with 15 percent taking an advanced class. 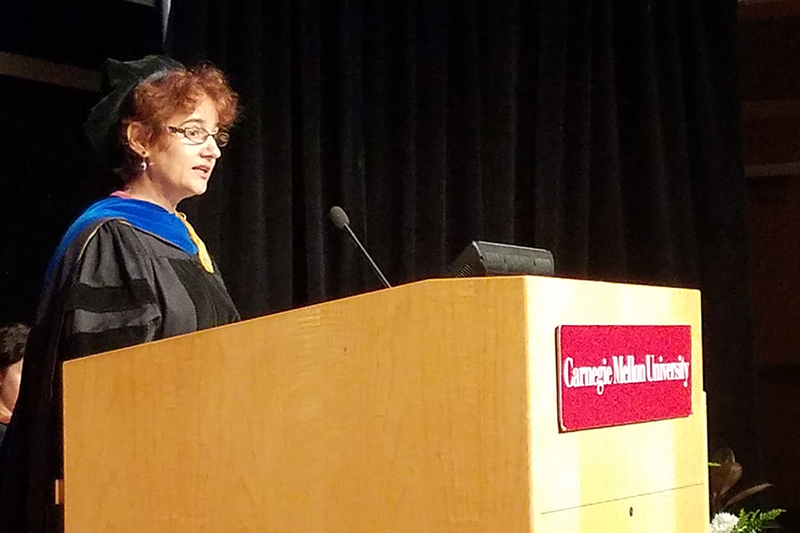 Susan Polanksy, head of the Modern Languages Department, told graduates and their families and friends that she is encouraged by CMU’s numbers and highlighted many ways understanding other languages bolsters students understanding of the world and can be applied in many ways. 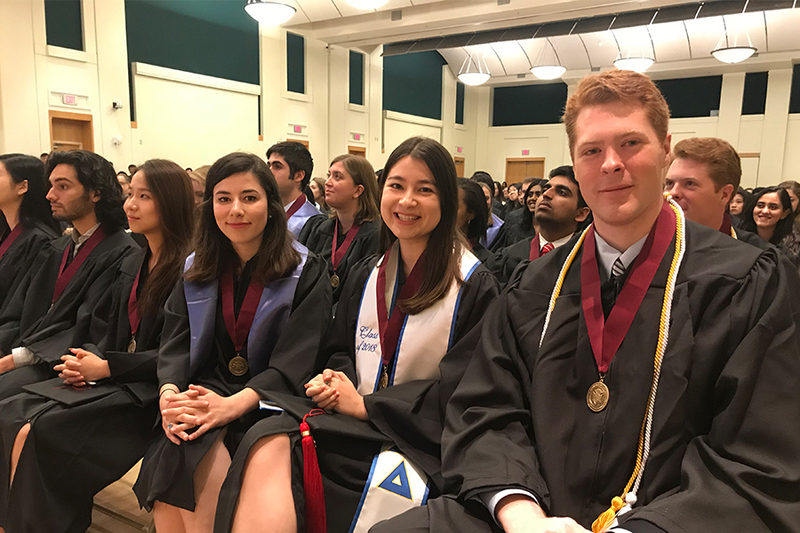 For example, of the 17 undergraduates receiving degrees in Chinese Studies, French and Francophone Studies, German Studies, Hispanic Studies and Japanese Studies, many students have additional majors in areas from economics to art and biology. “You are to be commended for achieving excellence in modern language and culture studies,” Polansky said. 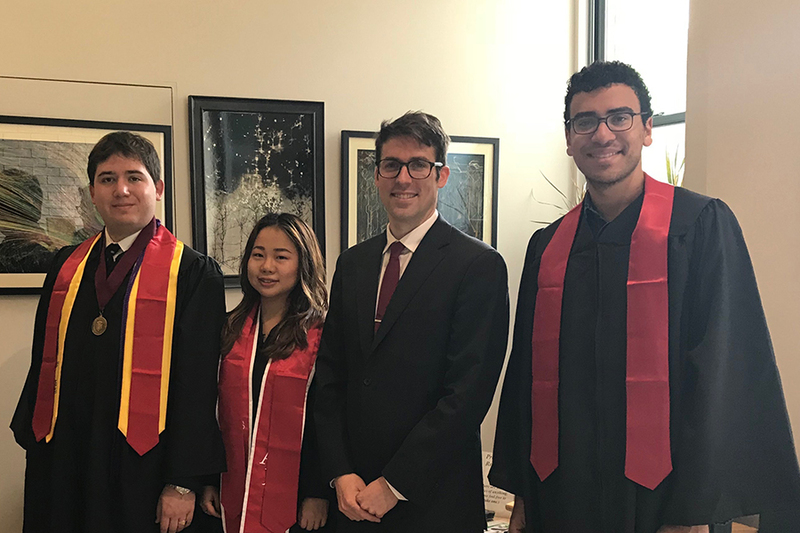 Additionally, today eight students received masters in second language acquisition, and five received doctoral degrees in second language acquisition. 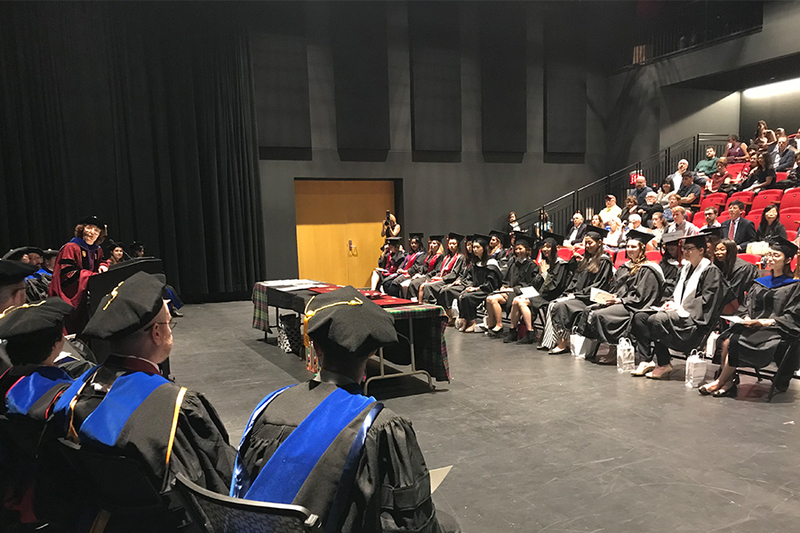 May 19, 2018 at 8:45 p.m.
One of the fastest growing departments of its kind, the Statistics & Data Science Department handed out slightly under 180 diplomas tonight. The department changed its name last fall to reflect the broad reach of statistics at Carnegie Mellon, which encompasses the many facets of modern data science. The number of undergraduate statistics majors has nearly quadrupled since 2010 and has grown more than twenty-fold since 2005. Graduates are finding success in many different industries. Roughly 10-20 percent of recent undergraduate statistics majors have gone on to graduate or professional school. The rest are getting jobs predominately in finance and banking, consulting, analytics, management and marketing. “Our curriculum is designed to give students a taste and a wide variety of experiences of what it is like to do statistics and data science in the real world. We take problems that are real—from research, industry and government—and put them straight into the classroom,” Rebecca Nugent, associate department head and director of undergraduate studies, has said. 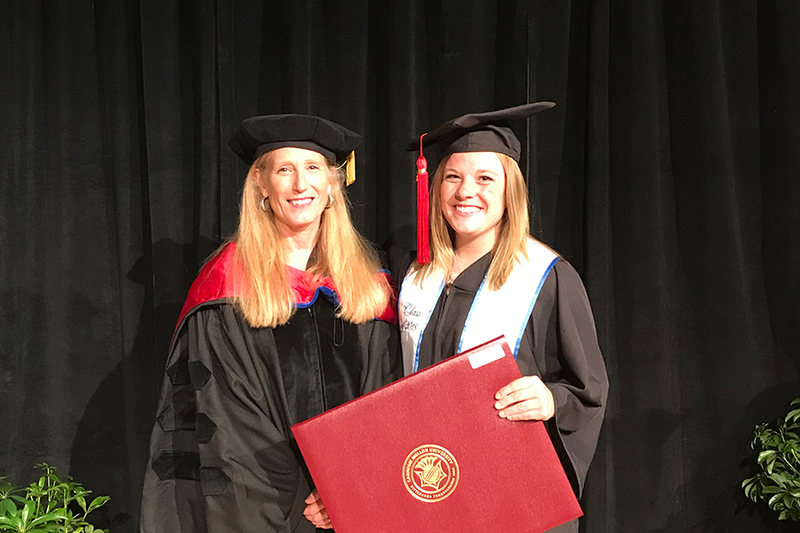 May 19, 2018 at 7:30 p.m.
At the Doctor’s Hooding Ceremony, all Ph.D. graduates were individually hooded and recognized. A keynote address was given by Njema J. Frazier, Ph.D., director of the Office of Experimental Sciences and the Department of Energy’s National Nuclear Security Administration. In the top photo, David Rode (left) stands with his adviser, Paul Fischbeck, professor of social and decision sciences and engineering and public policy. Rode received his Ph.D. in social and decision sciences. Last year, he was part of a team, that included Fischbeck, that found that found that power plant retirement trends will complicate achieving long-term carbon dioxide emission reduction targets and require a significant increase in capital investments. Additionally, a shift in investment emphasis from adding megawatts of generating capacity at low cost to reducing tons of carbon dioxide emissions is creating an imbalance that may pressure grid reliability over the next two decades. 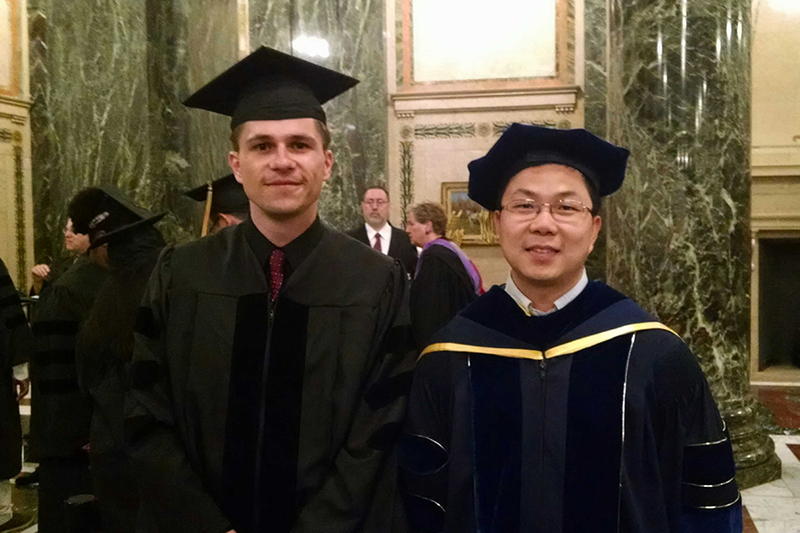 The second photo shows Jerzy Wieczorek (left) with his adviser, Jing Lei, associate professor of statistics and data science. Wieczorek, who received his Ph.D. in statistics, will now move to Waterville, Maine to join Colby College as an assistant professor in the Department of Mathematics and Statistics. More coverage of the Doctor’s Hooding Ceremony will be available soon. May 19, 2018 at 6:45 p.m.
Smarter and smarter medical devices. Smart cities. Recyclable everything. Understanding the inner-workings of the brain. Personal robots. All of these have something in common: the tech that powers them will need to capture processes and manage massive amounts of data. Fifty-two Information Systems (IS) Program graduates are ready to meet these—and more—fast-paced technology challenges. Weinberg told a packed Chosky Theater that their Carnegie Mellon degrees will open doors for them. 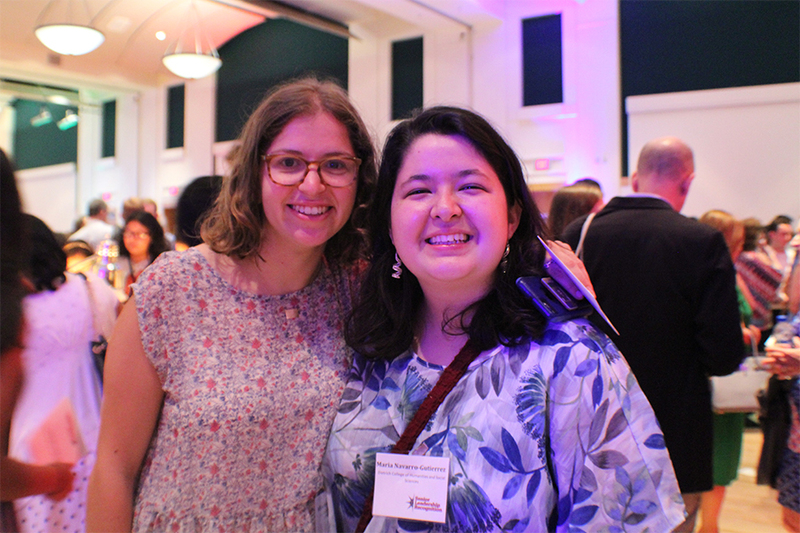 New grads Natalya R. Buchwald and Rebecca R. Kern are proof. They will both relocate to northern Virginia to work for CapTech and Capital One, respectively. “I am excited to use what I learned in the real world,” said Kern. Buchwald, who minored in social and political history, echoed her classmate and said, “I feel prepared” to embark on her new career, post-CMU. 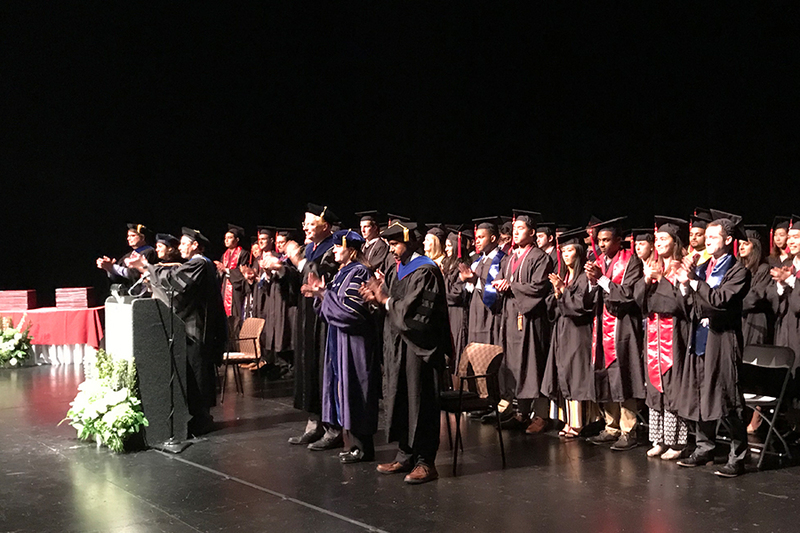 Top photo: Faculty and graduating seniors in the Information Systems Program take their seats on Chosky Theater’s stage. May 19, 2018 at 4:45 p.m. 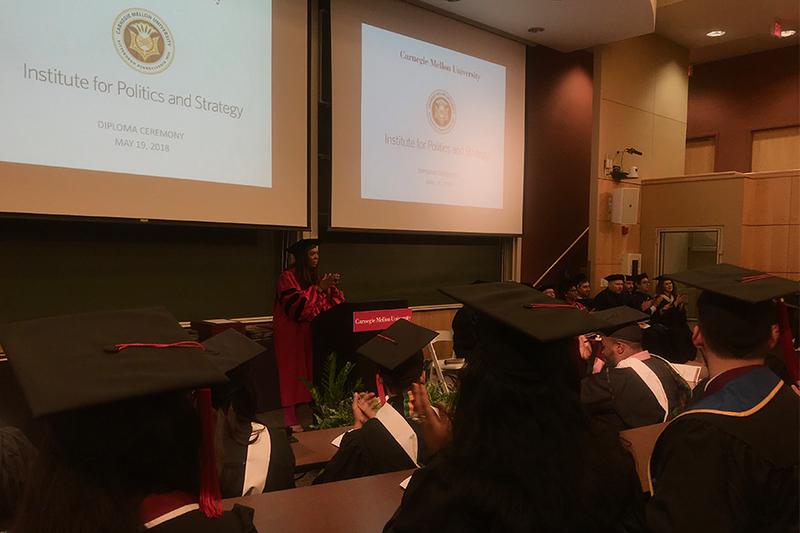 In her opening remarks, Kiron Skinner, director of the Institute for Politics and Strategy (IPS), encouraged graduates to “go forth and do good,” and to remember an important lesson about character. “What you stand for is more important than what you wear,” Skinner said. Molly Dunigan, a lecturer for IPS, delivered remarks, as well as some good and bad news. Stephens received his Bachelor of Science in IRP from CMU in 2017. Baruch Fischhoff, the Howard Heinz University Professor in the Department of Engineering and Public Policy and IPS, was honored during the ceremony. Earlier this year, Fischhoff won a 2018 Carnegie Corporation of New York Andrew Carnegie Fellowship. May 19, 2018 at 2:20 p.m. 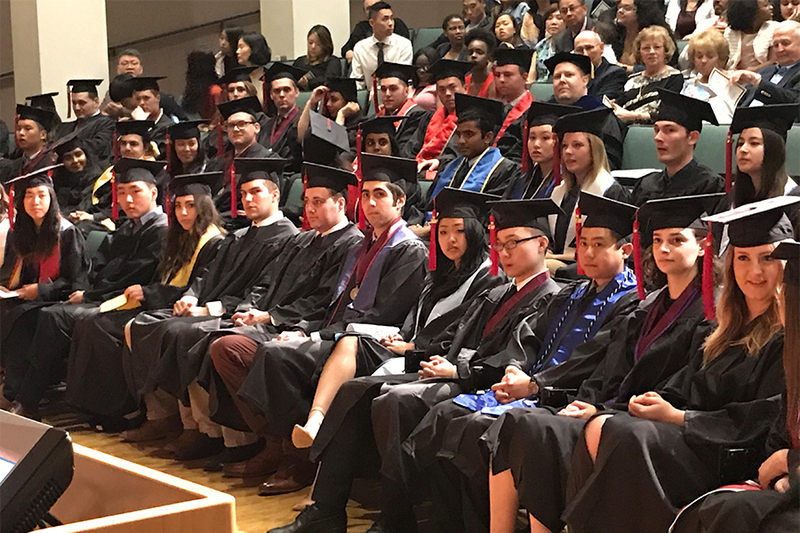 While speaking at the English Department Diploma Ceremony, Head Andreea Ritivoi stressed the importance and power of the education the graduates have received. May 19, 2018 at 1:10 p.m. 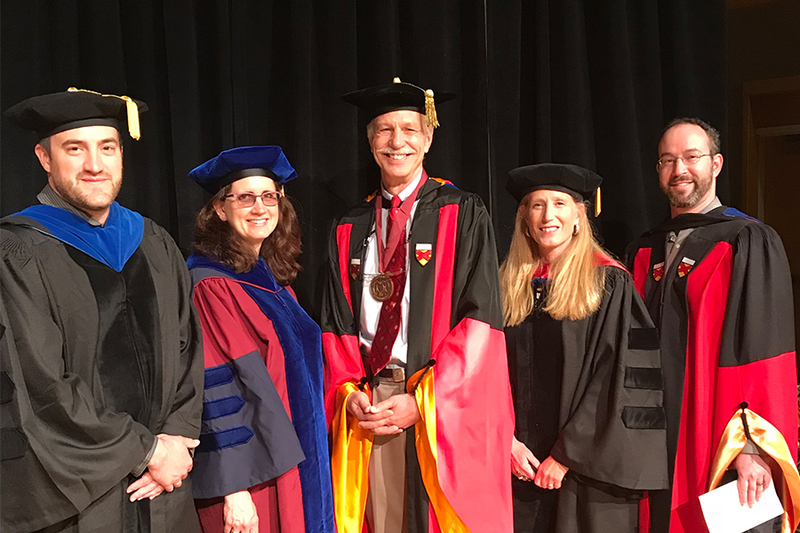 The Department of Social and Decision Sciences, led by Professor Paul Fischbeck, handed out nearly 55 diplomas today. Students received bachelor of science degrees in decision science and policy and management. The first Carnegie Mellon University undergraduate degree in behavioral economics, policy and organizations has been conferred to Muriel Pokol. Also, David Rode received his Ph.D. in social and decision sciences. Assistant Professor Stephen Broomell gave the faculty talk on “Learning by Doing." Social and Decision Sciences Department faculty members (from left to right) Broomell, Gretchen Chapman, Fischbeck, Linda Babcock and Daniel Oppenheimer participated in the ceremony. 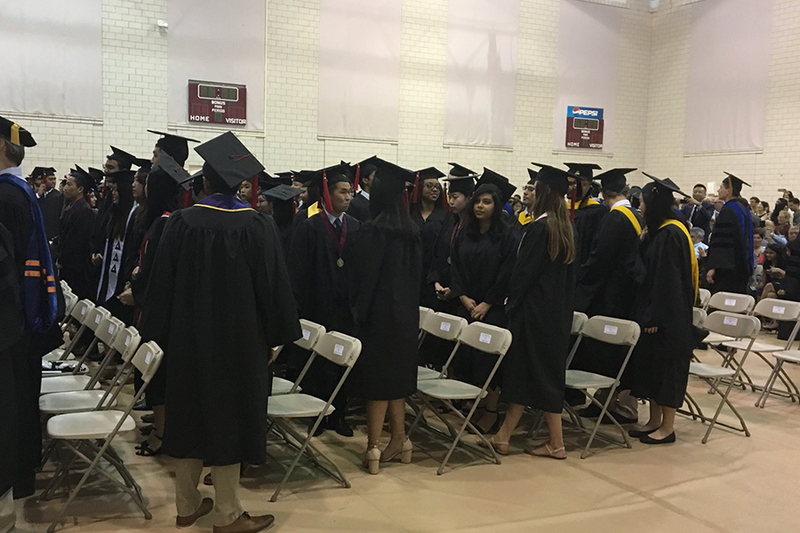 Top photo: Students waiting to receive their diplomas. Second photo: Social and Decision Sciences Department Head Linda Babcock with Muriel Pokol, the first recipient of a degree in behavioral economics, policy and organizations. May 19, 2018 at 12:25 p.m.
Three seniors received their degrees for student-defined programs, an opportunity CMU provides for students to self-define a program as a primary major, additional major or minor. Noa M. Wolff-Fineout received a bachelor of science in neural cognition with minors in biological sciences and French and Francophone Studies; Rachel A. Nakamura received a bachelor of science in product realization; and Neel Sibal received a degree in business administration with an additional major in quantitative research. May 19, 2018 at 10:20 a.m. 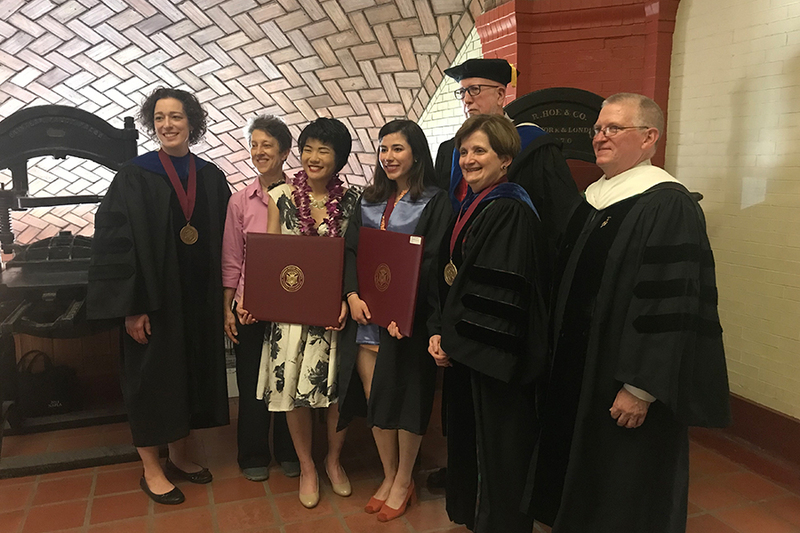 This morning, seniors receiving university and/or college honors and their families gathered for the Dietrich College of Humanities and Social Sciences Honors Ceremony. This is the first class that Dean Scheines welcomed as first-year students, and he led the students in a round of applause to thank the “fantastic network of support” they have received over the past four years from their families. Associate Professor of History Lisa Tetrault, the winner of the Elliot Dunlap Smith Award for Distinguished Teaching and Educational Service, gave the keynote speech. She urged the students to think about graduation not as a destination, but a journey. “Your diploma represents the journey and a series of skills that you will continue to build on,” Tetrault said. Full coverage of the honors ceremony, including photos of each student receiving their honors, will be available by the end of May. 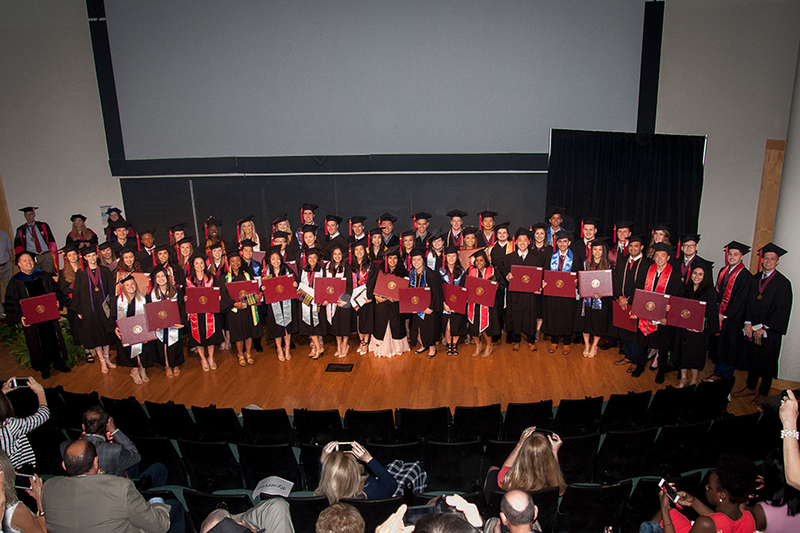 May 18, 2018 at 5:10 p.m.
Nearly 100 graduating seniors in the Dietrich College were honored at the Senior Leadership Awards. Opening the ceremony, Gina Casalegno, vice president for student affairs and dean of students, thanked the seniors for their impact on campus. “CMU has changed for the better these past four years, because of your leadership and involvement,” Casalegno said. CMU President Farnam Jahanian echoed Cacalegno’s appreciation, saying throughout their tenure at CMU, students have highlighted the ways the campus community could be stronger, safer and more fun. Graduating with degrees in international relations and politics and creative writing, Sinead Foley delivered the student leader remarks. 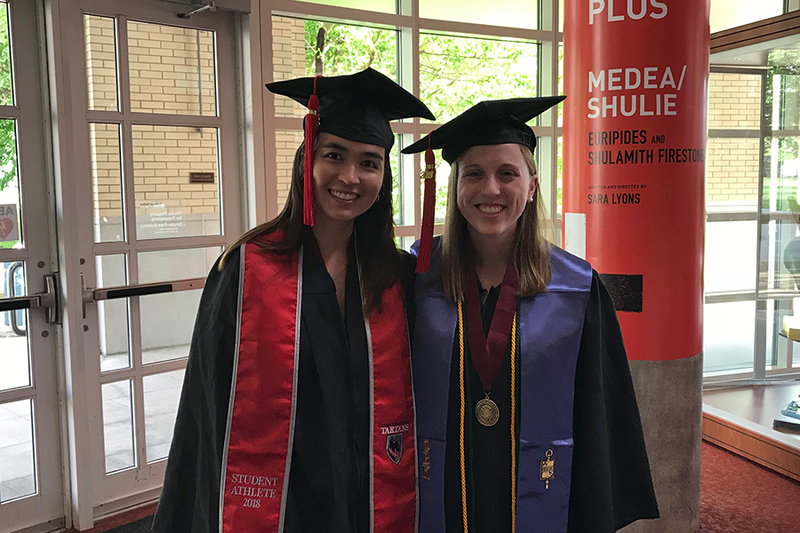 Pictured: Dietrich College seniors Mikaela Wolf-Sorokin and Maria Navarro-Gutierrez, who were honored at the ceremony for their leadership. 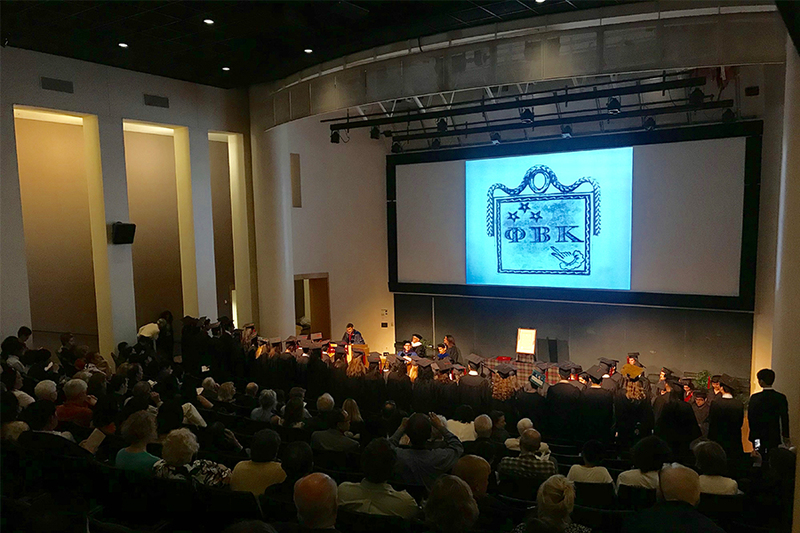 May 18, 2018 at 3:15 p.m.
CMU’s chapter of Phi Beta Kappa (PBK) welcomed 54 new members this afternoon. 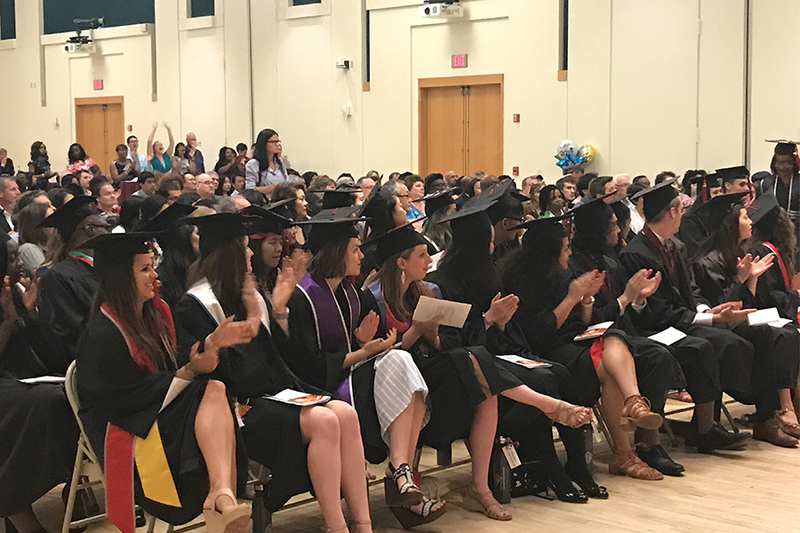 Frederick M. Lawrence, the 10th secretary and CEO of PBK, delivered the keynote address, and congratulated students on taking their place in a society of more than 500,000, including notable scholars and Nobel laureates. Check back soon for more details on the PBK initiation. May 18, 2018 at 10:15 a.m. 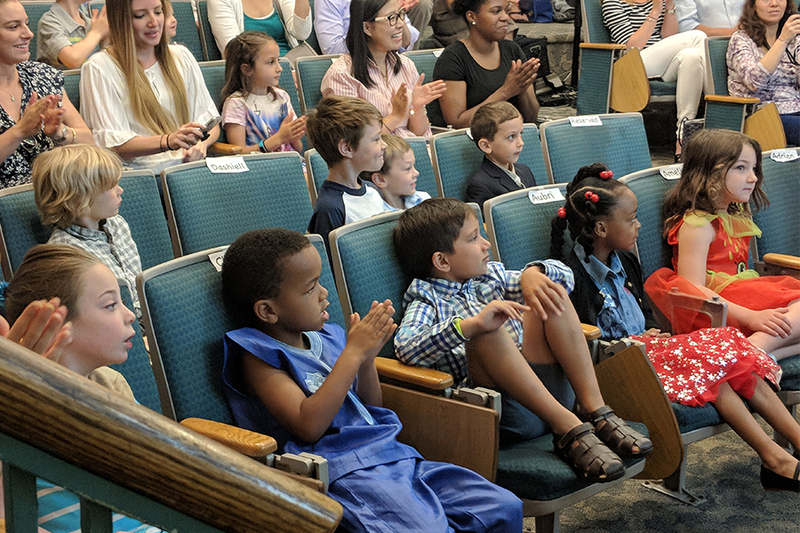 The Children’s School’s kindergarten graduates are ready to receive their diplomas. Stay tuned next week for complete coverage of the graduation ceremony and school picnic. May 18, 2018 at 9:40 a.m.
As students get ready to graduate, they're sharing stories from their time on campus and giving advice to incoming students. 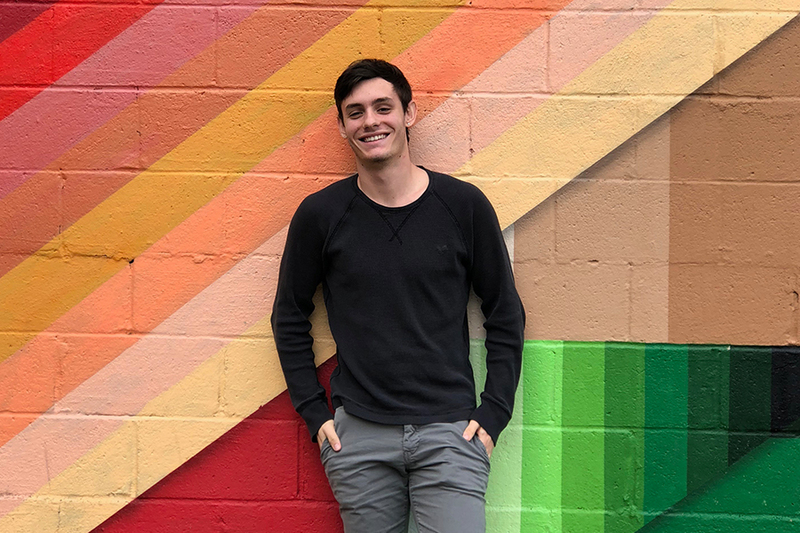 May 14, 2018 at 3 p.m.
As a leader and mentor throughout the Tartan community, Wainczak recently shared what he has loved about CMU as well as his plans after graduation.